Polymer clay – It can be drilled, carved, moulded, stamped, sanded, painted and polished. It is an incredibly versatile material that can be made to look like anything from glass to ivory. Learn to create vibrantly coloured and beautifully detailed polymer beads, decorative elements are repeated with intentional arrangement. The workshop will focus on the process of patterns & designing, as well as how to integrate polymer pieces with other elements. 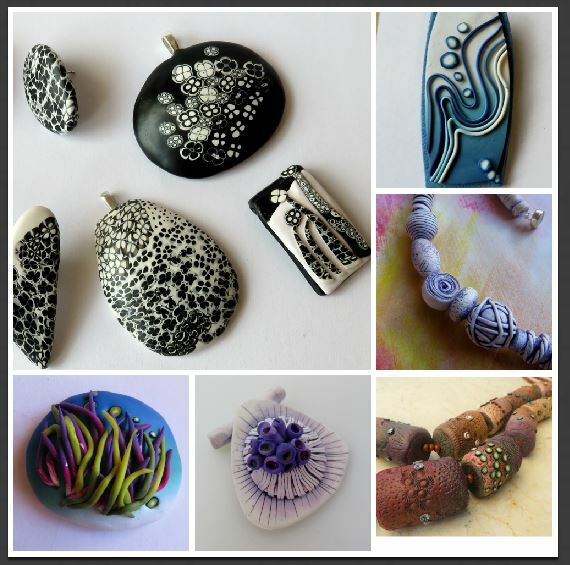 You will be able to make stunning unique polymer clay beads and pendants to create a unique piece of work. In this workshop we will cover basic design principles, brands of polymer clay. Simple canes which can be used to make a variety of different patterned beads.